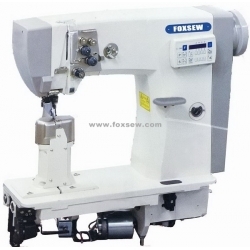 FOXSEW Double Needle Computerized Fully Automatic Thick Thread Post Bed Heavy Duty Lockstitch Sewing Machine. The delicate structure of the needle gauge adjuster allows free precision adjustments, Adjustments are easy and convenient to make. 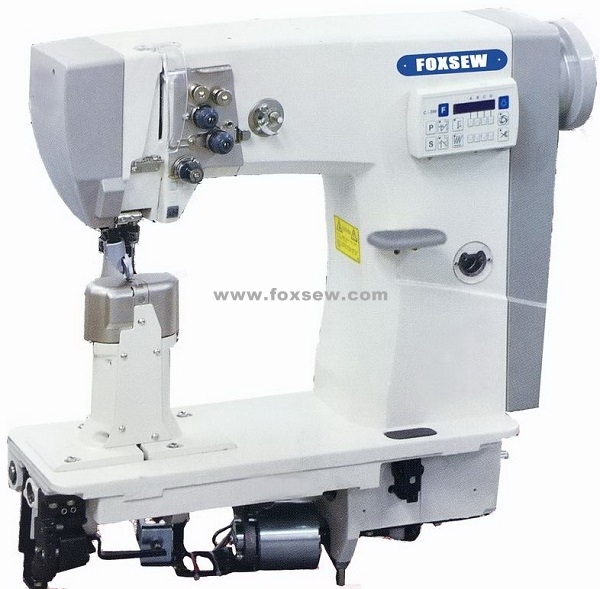 The new cutter has novel and unique design and it’s simple to mount, convenient to adjust, smart in movement, thereby enable shorter loose thread ends, it is easy and convenient to maintain and repair. Saving Labors’ cost: Using electromagnet to control presser foot could be save more labor’s cost and productivity improved a lot.